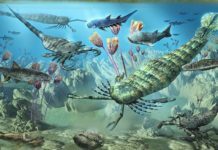 The Precambrian Era, also known as the Precambrian Supereon, is a period of time in Earth’s history that covered approximately 4 billion years, which is about 90% of the entire history of the Earth. It starts about 4.56 billion years ago when the Earth was formed and ends about 541 million years ago when simple organisms began evolving into more complex multi-celled organisms. This period of time is not only the longest in Earth’s history, however, it is also one of the most obscure. That’s because scientists have a hard time getting information from the Precambrian rocks because over the years they’ve become heavily metamorphosized. This makes it hard to determine how events unfolded during this time. Scientists have broken down this era into 3 distinct eons: the Hadean, the Archean, and the Proterozoic. The Hadean Eon begins when the Earth formed from swirling dust and gas coalescing into a sphere about 4.56 billion years ago and continues all throughout the geological development of the planet. During this time, Earth had impact craters all over it from asteroids and other celestial bodies crashing into it; had oceans that weren’t filled with water but were instead filled with boiling, liquid rock and had air that was filled with sulfur, carbon dioxide, and dust. This is the time when a large celestial body crashed into the Earth and caused a part of it to be kicked into Earth’s orbit and therefore becoming the moon. The Archean Eon began approximately 560 million years after the formation of the Earth. During this time, the planet isn’t a living hell like it was during the Hadean Eon. For the most part, the Earth has cooled down and the water vapor that was locked in the atmosphere had begun to cool and condense into massive oceans. 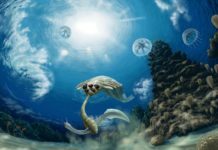 A large portion of the carbon dioxide that was a main component of the atmosphere during the last eon, was chemically alter and became limestone for the ocean floor. 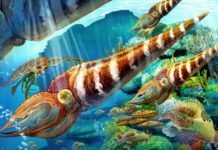 It was also the time when simple bacteria began to make their first appearance of the Precambrian Era. Scientists believe these original life forms were blue-green algae that swam in the prehistoric oceans. The Proterozoic Eon began about 2 billion years ago, which is approximately 2 billion years after the formation of the Earth. During this time, Earth was moving toward becoming a planet with a more oxygenated atmosphere. It was also the time when several glaciations occurred—which many scientists believe led to Snowball Earth, although at this point it’s still a hypothesis. Single celled organisms named eukaryotes also began to gain prominence during this period and this was also the time when multi-celled life really began to evolve; both probably as a result of the free oxygen that was now available in the atmosphere. 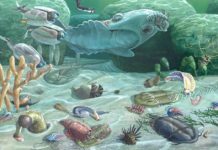 The Precambrian Era is also known for the formation, and the occasional break-up, of several land masses. This included the supercontinent known as Vaalbara. This supercontinent was formed approximately 3.6 billion years ago. However, it ended up breaking up about 800 million years after its formation. Other super-continents that were created and which eventually broke up during this period of time was Kenorland, the supercontinent Nuna and the one called Rodinia. 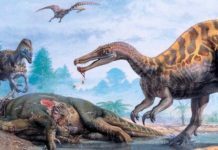 It was a period of extraordinary geological change as well as extraordinary biological change. 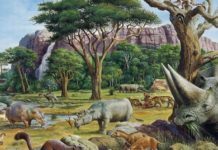 Changes which radically altered the planet and would eventually set the stage for the Paleozoic Era – a period of time that is known for the unprecedented evolution of life and eventually, the rise of human beings.